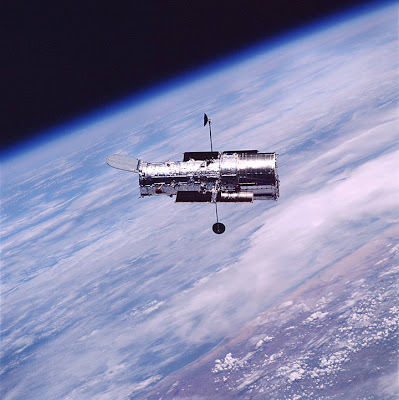 This should put NASA’s budget into perspective: The National Reconnaissance Office (NRO) has just raided its spares bin and donated two space telescopes to NASA that were surplus to requirements. Understand that these instruments are both the same size as the Hubble Space Telescope (HST), but are equipped with a faster mirror and more flexible optical arrangement (They were designed as spy satellites, after all). NASA spent almost 20 years and billions of dollars building the HST, and launching it into space, and when it finally got there it revolutionised the science of astronomy. The NRO had a few spares just lying around collecting dust! Sadly, these telescopes may never get used. Space telescopes don’t have a guy at the eyepiece – they need complex packages of instrumentation which can record and analyse the light coming through, something which the new telescopes are not equipped with. These instruments would need to be designed to suit whatever science NASA wants done, then built and installed. Then there’s the matter of the launch: space telescopes are very big and heavy, and it takes very powerful rockets, operating at enormous expense, to get them into orbit. Not only does NASA not have the money for any of this, it doesn’t even have the rockets any more! The last vehicle capable of lifting large objects into orbit was the Space Shuttle, and those have all been retired. It would be a terrible waste if some way cannot be found to get around these problems. Perhaps they’ll let me borrow one to set up in my back yard?